For me, it’s not as simple as automatically considering someone a criminal because they’ve been accused of a crime. Beginning as a Bay area prosecutor I realized that the majority of those accused of a crime are good people who have made a mistake for whatever reason. Be it domestic tragedy, terrible economic circumstances, or an occasional lack of judgment, something we’ve all experienced, without fail there is an underlying circumstance leading to the actions of the accused. Just as a medical patient needs help navigating the waters of a medical need, so do the people accused of a criminal act being processed through our criminal court system. With proper counsel and representation, it is my hope that I can help my clients through their difficult time and get back to being the contributing member of society that they are as quickly as possible. I’ve always felt it is easier for the masses to point a finger and hop on the accusatory bandwagon. The true character and strength comes in standing up for someone’s rights, something we as a society must value and hold near or risk losing. Believe it or not, I still believe in justice. Novel concept isn’t it? Like it or not, despite the quality of law enforcement and their technology, to err is human. Anytime the human element is involved in an accusation, justice calls for a zealous defense to ensure that the person is not accused of something they didn’t do! Being a criminal attorney isn’t the easiest job, nor is it the lowest stress occupation. What it is is rewarding when you get that handshake at the conclusion of a case, or the hug after winning a motion to help your client lift the monkey off their back. I am a member of the Florida Association of Criminal Defense Attorneys, am active in its online legal forum, and converse daily with other criminal defense lawyers around the State to stay up to date on breaking legal trends in Florida. I am a member of the Barney Masterson Inn of Court Executive Board as I believe in maintaining the highest ethical standard as a practicing attorney. I believe my involvement in organizations like this benefit my clients, be it through knowledge gained or networking to build a relationship of trust with local prosecutors and judges. I believe in people hiring the lawyer they feel most comfortable with. Someone they are confident they can speak with candidly, ask the uncomfortable question, and feel they are getting the best effort of their attorney at all times. For this reason I won’t send you a hundred fliers in the mail or chase you down the halls of the courthouse. What I will do is offer you a down to earth interaction and a blue collar, midwestern work ethic. I’ll do my best to balance aggression in your case with an even keel so as to earn you the best possible result. Thank you for taking the time to get to know me on paper. I’m excited to meet you, shake your hand, and hopefully help you through your time of need. Jason Mayberry is a trial attorney licensed in Florida and Tennessee since 2007 and 2006 respectively. 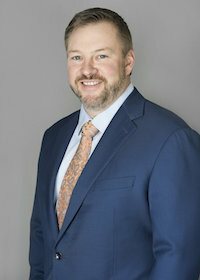 Jason practices with frequency in the Federal Court of the Middle District of Florida, Tampa Bay area County and Circuit courts, domestic violence courts, and traffic courts. Jason is a frequent legal blogger for the Clearwater Patch, Dunedin Patch, Old Northeast Patch, and Largo Patch. Jason is rated as “Superb” on AVVO, the highest rating possible, is a “Client’s Choice” in 2012 for Federal Crime and is a “Top Contributor” for Federal Crime in 2012. Jason has been featured in interviews with TBO.com and TheStreet.com.